Conservation is about people. People deciding to protect places and plants and animals. Deciding that rhinos and elephants are important. Important for the environment, but also for people. African wildlife is vitally important for Africans. It is a part of our past and must be a part of our future. It is important for our own welfare, our joy and our dignity. And so, while a commercial poaching onslaught is raging around us, some Namibians are doing everything in their power to protect our country’s heritage. There is something about Namibia. Maybe it’s all that sunlight and space, maybe it’s the dynamic mix of our people, maybe it’s an occasional delusion of grandeur… whatever it is, innovation and determination seem to come naturally to many people working here – especially in conservation. It’s an attitude that fits right in with Google’s Global Impact Awards. They go to ‘entrepreneurial teams who think on a global scale and have a healthy disregard for the impossible’. WWF-US saw the match and secured funding from Google for the WWF Wildlife Crime Technology Project. It’s a global project. First stop – Namibia. We were chosen because of our excellent track record in conserving rhinos, and our innovative approaches, says WWF Project Leader Crawford Allan. 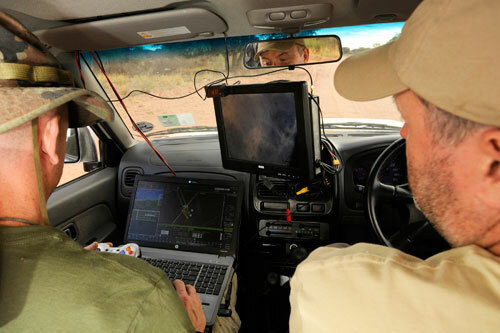 He visited Namibia in November 2013 with a team of experts to get things started, working with the Ministry of Environment and Tourism (MET) on their new objective: State of the art technology that can take the fight against wildlife crime to a new level – up. Namibia brought its black rhinos back from the brink of local extinction in the 1960s to the healthy and expanding populations we see today in our national parks, communal conservancies and privately-owned conservation areas. The white rhino was reintroduced after becoming extinct in Namibia in the early 1900s, and is doing equally well. As populations grow, some rhinos are constantly moved from areas of high density to former ranges all across the country. It spreads the risk of poaching, links rhinos to local communities, and increases their value – because people benefit from them and see them as their own. Much of Namibia’s wildlife success story – populations of most species are healthier now than they have been for decades – is based on such partnerships. Having the people on the side of conservation. Sharing both the responsibilities and the benefits of conservation between government and the people. 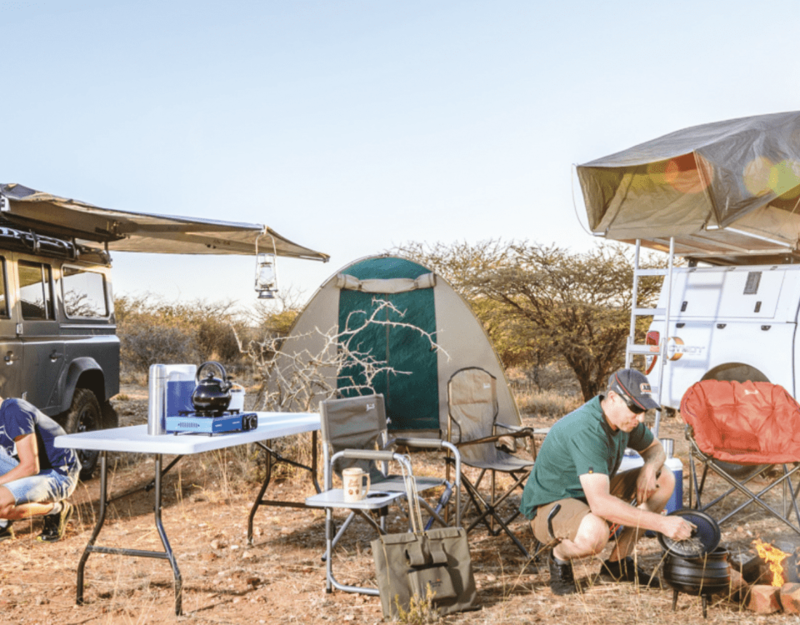 Rural communities are generating tangible returns from wildlife management – as members of communal conservancies or neighbours of parks, and as owners or custodians of wildlife on private land. This is a national vision, and has received ongoing support from the highest levels of government. When poaching happens, it is seen as stealing from the community, and local people are the first to protect their assets. In the incidents of commercial poaching in Namibia in recent years, the help of local people led to most of the arrests and seizures of rhino horn and ivory. The partnerships go back a long way. For decades, legally-entrenched foundations have been strengthened, enabling wildlife management as a viable land use alongside agriculture, both on communal and privately-owned land. Namibian conservationists are not resting on their laurels. The looming threat of poaching is real. It can undo the hard work of so many years in no time at all. A group of dedicated people – MET and NGO staff and private sector specialists – continue to explore innovative ways to conserve our rhino. 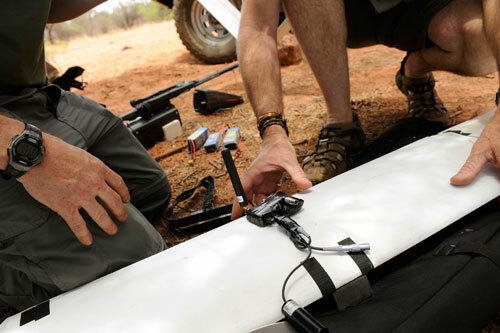 Pioneering work on wildlife tracking tags over several years has led to remote monitoring of a large number of our rhinos via satellite, cellular and UHF radio networks. 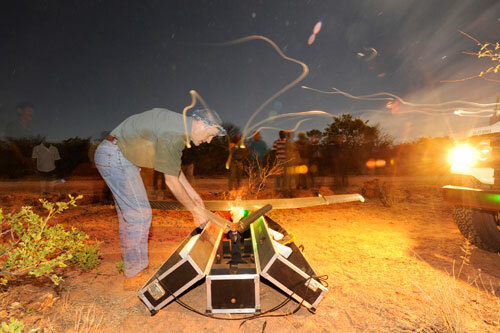 National Rhino Coordinator Pierre du Preez is coordinating much of the work and has more recently begun experimenting with UAVs – unmanned aerial vehicles – as an additional monitoring tool. Funding for many of these initiatives came from Namibia’s Game Products Trust Fund (GPTF), and MET’s Director of Natural Resources Management Louisa Mupetami and her Deputy, Elly Hamunyela, were instrumental securing the funds. Enter the WWF Project. The MET is already well on their way with the use of high-tech tools, and the additional support from Google and WWF allows rapid implementation. UAVs are being strategically deployed, a silent eye in the sky, day or night, with high resolution infrared and daylight video footage from the flights going live into an overall surveillance system. 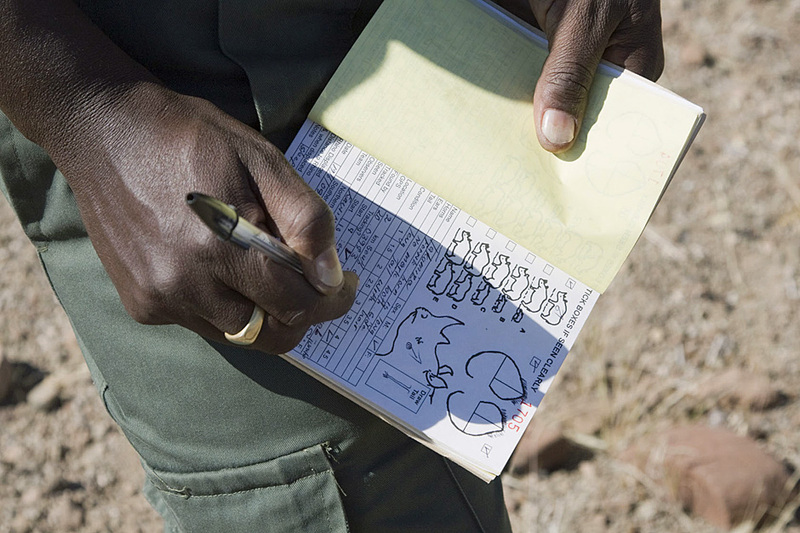 The system includes surveillance cameras at waterholes and other strategic sites, as well as the rhino tags. Colgar Sikopo, Director of Regional Services and Park Management with MET, has been pushing for the use of surveillance technology, and first trials already began in the middle of this year, funded through the Google Global Impact Awards. Surveillance is aimed not just inwards at the animals, but outwards, detecting incoming threats along roads, park boundaries and entrance points. The surveillance can spread like a shield over our rhinos to help protect them. 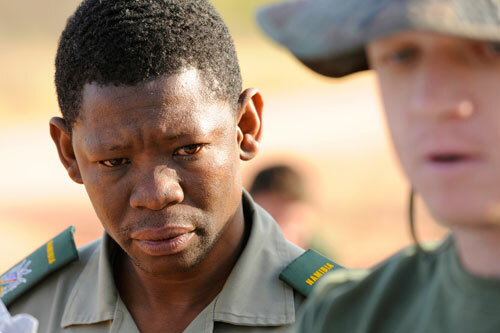 David Masen is the warden of Waterberg Plateau Park, where much of the testing took place. David grew up in Etosha National Park. He is a member of the Hai||Om, the first known people of that great wildlife haven. David has a deep connection to the environment. He looks at the new technology with one enthusiastic and one sceptical eye. It can help, but it is not the solution. People are the solution. The people who use the technology. The boots on the ground. They will make the difference.